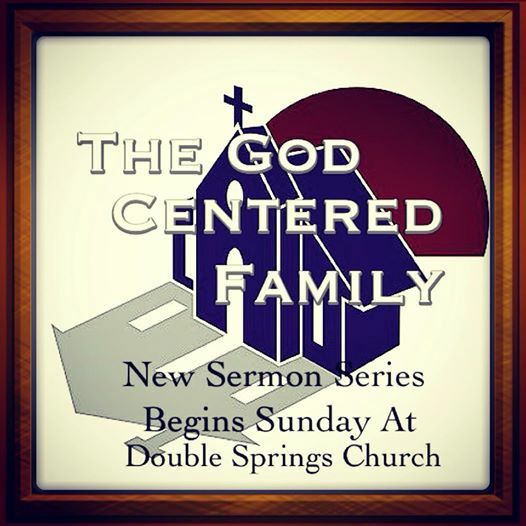 This Sunday @ Double Springs Church, we launching a new teaching series, “The God Centered Family”! We’ll be coming together to explore the depths of Gods Word concerning marriage, children, family, etc. We truly believe this will be a transformative series (we’re SOLD on Gods Word working in our lives) and encourage you to not only join us, but bring someone with you! We’ll kick off this new series by addressing “Marriage Gods Way” (meditate on Genesis 2 to prepare your heart and mind). First off – If God deals with in in His Word, it’s for you. Every passage of scripture, in every context is relevant every time we read it to everybody who calls Him Father. This fact alone should solidify in our hearts that no matter the personal situation, what we’ll deal with Sunday is huge for you. In His Word, he deals with marriage so to put it simply, this should matter to us. If Your Marriage Rocks…this weeks message is for you. I praise God for that. It really thrills my soul to see vibrant marriages. Yet, even while saying that, I’d also have to mention that I’ve been kicked in the soul more times than I can count as I’ve see some really vibrant marriages crash and burn because of an idea that their marriage was beyond failure. Thing is, I do a lot of marriage counseling. I counsel folks in BAD marriages and GREAT ones. Through that experience, I can tell you without hesitation that EVERY marriage needs work. Put simply, when we stop working on our marriages, our marriages stop working. If Your Marriage Is On The Rocks…this weeks message is for you. God has a design for marriage, a good one at that. In fact, I’m convinced that if the worst of marriages would submit to the authority of Gods Word, follow the principles and precepts He lovingly gives us for marriage and commit to simply doing this whole marriage thing His way…He’ll bless it. If You Are Single…this weeks message is for you. Statistically, if you are single (and in the younger years of life) you won’t be for long. Eventually, it’s highly likely that God will provide you a spouse. When that takes place, you’ll look back on this week at DS Church and say, “I’m sure glad I came to church that Sunday“. Yes, I’m dead serious when I say that because I WISH somebody would have told me about what we’ll deal with Sunday before my own marriage. 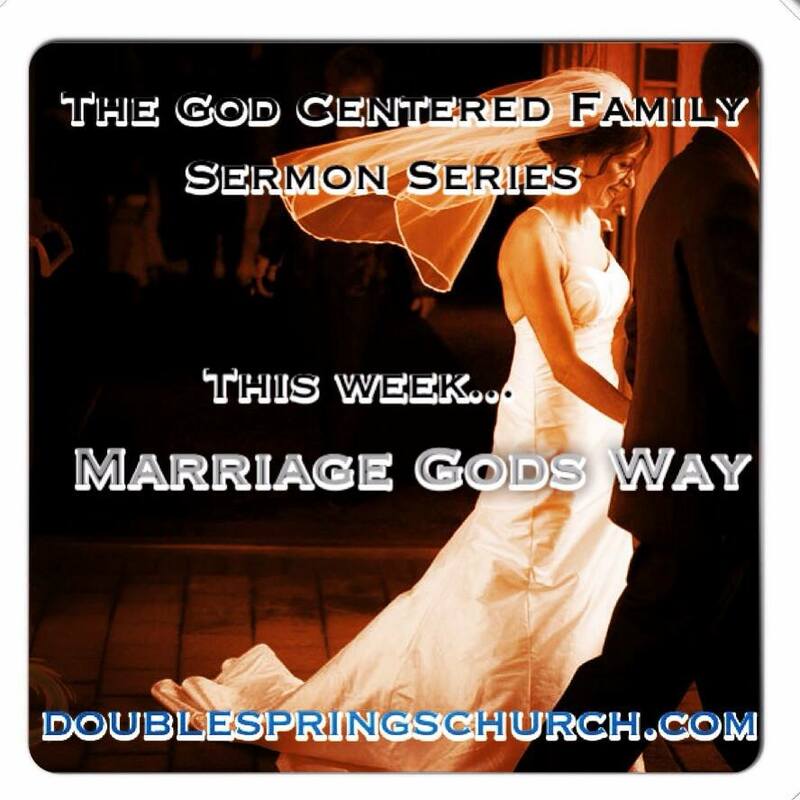 If You Are Divorced…this weeks message is for you. You know heartbreak. You know hurt. Chances are you are still reeling in some sense. This week will help you understand what went wrong and why and provide some rock solid hope for the future. If You Are Widowed or A Widower…this message is for you. First off, God may not have close the door on the possibility or remarriage. Yet, even if He has, you have a great opportunity to mentor young couples within your family and our church. This message will help you to do that in a Biblical manner and help you to know how you may best pray for those young couples that God has placed in your life. If You Are A Child…this message is for you. As most of you already know, our corporate worship services are Family Integrated (by design). We’re blessed with an abundance of children at Double Springs and believe wholeheartedly that they benefit greatly from being included in our corporate worship setting. We believe the Spirit of God works in their lives as we sing, love, worship, preach and respond together. Kids, this Sunday will be and awesome opportunity for you to hear what God has to say about marriage and as a result, cut out a ton of needless heartache before it ever arises. If You Have Any Other Excuse…this message is for you. Marriage matters. It matters in our personal lives, family lives, church life, community life, even in our nations life. Most importantly, marriage matters to God. So, join us Sunday morning at 11:00 and bring a friend(s). You’ll be blessed. Next Next post: EASTER SUNDAY @ Double Springs!